The Hotel Noor Mahal is among the finest examples of luxury offered amid a tranquil setting. 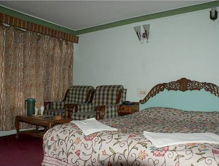 With sturdy construction, modern architecture and contemporary amenities, the Noor Mahal is one of the most comfortable accommodation options in Pahalgam. Blame it on the comfort factor, price or architecture, the hotel has always been in the good books of the tourists. Perhaps, it is also the hotel staff that has fetched accolades for the Noor Mahal, as it takes complete care of the needs of the guests. Accommodation The highly spacious and luxurious rooms of the Hotel Noor Mahal provide complete ease to the guests. The rooms have been divided into two categories- the Standard Rooms and the Deluxe Rooms. Both the rooms have been equipped with all the basic as well as plush amenities. However, both the rooms have some different USPs. On one hand the Standard Rooms are famous for their interesting and beautiful wooden furnishings, and on the other hand the Deluxe Rooms are known for providing a breath-taking vista of the mountain beauty via private balconies. Dining Serving scrumptious dishes to the guests is the major highlight of the Hotel Noor Mahal. Its restaurant is famous for delicious Indian cuisine (both veg and non-veg) and Kashmiri Wazwaan (prepared on order). The taste of the restaurant food lingers over the guests’ tongue for a really long period. Pick-up facility from airport Srinagar & rail head Jammu. Guide or transport service for picnic spots like Martand, Achabal, Kokernag, Verinag, Anantnag etc. 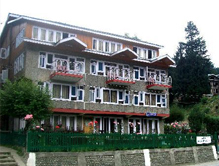 At Tour My India, we provide you complete assistance for booking hotels in Pahalgam. Owing to our rich experience and expertise, we provide the best deals for booking accommodation at Hotel Noor Mahal. All you need to do is, send us your requirement and we will take care of the rest.